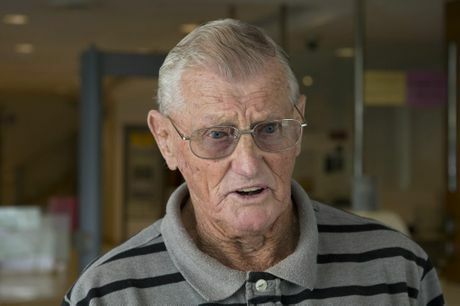 THE great grandfather of a man sentenced to more than seven years jail for stabbing another man believes the youngster will reoffend. Aubrey Downey remained silent in the Supreme Court as his great grandson Aaron James Cant, 25, was ordered to serve at least two more years of a seven-and-a-half year sentence in jail after he pleaded guilty to stabbing a man in the chest while trying to settle a debt owed to a prison associate. Cant today smiled at friends and family from the dock as he was sentenced on the single charge of grievous bodily harm with intent to maim - downgraded from attempted murder - after stabbing Chalmers Maeva in the chest the night of June 26, 2014. 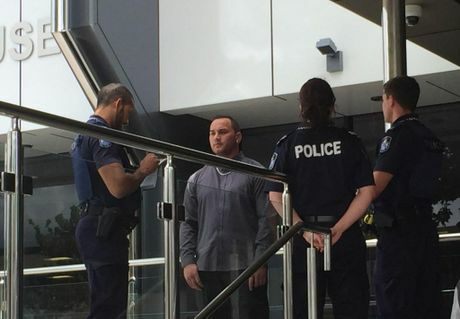 The court had heard Cant had been released from jail just two days before he went to Maeva's James St unit in Harristown to recover $2500 owed to an associate he had met in jail. It was Crown prosecutor Mark Whitbread's case the debt was over a dog - a fact which Supreme Court Justice Martin Burns labelled bizarre. Defence barrister Bruce Mumford argued the debt related to drugs but the facts surrounding the incident were accepted. The court heard an intoxicated Cant had been waiting for Maeva at his James St unit. He shared the unit with his girlfriend and two-year-old daughter. Cant arrived just after 7pm on June 26, 2014. Cant asked Maeva to go inside and the pair talked in the kitchen before Maeva told him to leave. It was at that time Cant "struck the complainant hard and fast in the chest ... making a thudding noise", Justice Martin Burns told the court in his sentencing summation. The court was told it wasn't until Maeva looked down and saw the "blood spurting" that he realised he had been stabbed with a long sharp blade. The blade had pierced the right side of Maeva's chest, narrowly missing his heart and caused injuries so extensive his chest had to be cut open and his heart massaged to revive him in hospital, the court heard. Maeva spent three weeks in the Princess Alexandra Hospital in Brisbane recovering from his injuries which included the stab wound between the fourth and fifth rib, a collapsed right lung and a five to 10mm laceration to his chest. 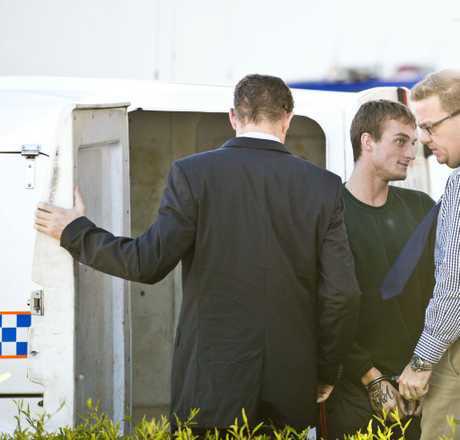 Cant fled Toowoomba after the stabbing and was arrested in his hometown of Moree on July 1, 2014, and extradited back to Queensland. 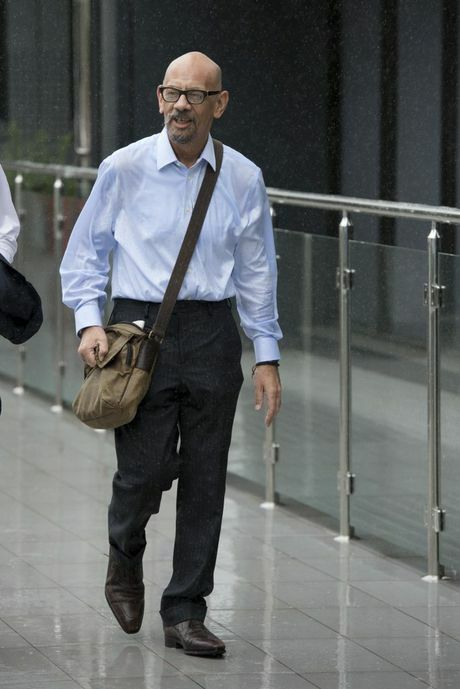 Seven pages of Cant's criminal history were tendered to the court which included a prison term in November 2009 for a "king hit" and a road rage incident from December 2008 during which he had threatened a motorist with a knife and abusive language. The court heard Cant had a troubled childhood and had used drugs since he was 12 and had not finished Year 10 at school. Justice Burns said Cant had led a "directionless and lawless life" and had wasted some of his best years in jail. Despite his extensive criminal history, Justice Burns ruled against a serious violence offence declaration which meant Cant would be eligible for parole on March 1, 2018. He had already served 374 days in pre-sentence custody for the offence. Speaking outside court, Cant's great grandfather Aubrey Downing - who raised him from the age of seven - said it was unlikely the youngster would change his criminal ways. "I hope he does, anyway, for his own benefit because we won't be here that much longer," Mr Downey said. "We tried to do our best but he wouldn't listen so this is where he ends up now."